BILL CHERRY'S GREATEST DALLAS PARK CITIES REAL ESTATE BLOG: I Know All About Joel Osteen and Lakewood Church. I Know All About Joel Osteen and Lakewood Church. When I was a young man just out of high school in 1958 , it seemed that almost every car, long past its prime, had multiple bumper stickers on it that read, "Lakewood Church An Oasis of Love." The standard joke was that it was those multitudes of "An Oasis of Love" bumper stickers that were holding the old rattle traps together. 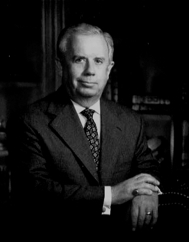 John Osteen began his years of ministry about 1940. He pastored several Baptist churches, and was a well-educated and well-thought of minister. Divorce of his first wife as well as becoming more Pentecostal in his sermons and instructions, brought him at odds with the church's deacons and a good portion of the membership, so he set out to found his own church. A lot of thought went into the selection of a site the new church would own,, and finally the choice was on the east side of Houston, primarily among the working class. When the first church building was built, the membership was about ninety. Next it became obvious that the church could no longer remain in its founding headquarters. They began to look elsewhere. They had about one half of the money they needed. They would have to raise the rest by a short term loan, to be paid off by donations. It worked. From its beginning, this was serious stuff. Without going into confidential details, I was retained to serve with a group of advisors to determine if the Osteen family could, first and foremost, keep their end of the financial obligation. But secondly, there was concern that their financial records might not be impeccable. If that were the case, leasing and/or selling to the church could quickly bring criticism to the Houston City Council and the city itself. For me, it was an interesting assignment, no matter how small the part was that I was to play. Frankly I couldn't wait to serve and see how the Osteen family performed. As the church began its development under Joel Osteen and in its new facilities, it became obvious that he had movie star like qualities. By Christmas 2004, that book had sold 500,000 copies. To date it has sold in excess of 4,000,000. That success led to others, the next one being on the stands two years later. The cost of production and staging of each is enormous. Lakewood Church does not provide financial assistance to these programs. The risk and the net return are the sole burden of Pastor and Mrs. Osteen. He and his wife pay Federal Income Tax just like you and I. One of the most evil and surreptitious problems that ministers must prepare and deal with comes from those who are anxious to sue them. You see, spiritual interpretations, by definition, come with no third-party proof. Every part about it is intangible. So ministers are frequently sued for what the plaintiff claims was advice they were given that was based on no proof. The more prominent and financially responsible the religious leaders are, the more likely they are to be sued and for exorbitant amounts of money. Some investments not open to judgment and that are used include life insurance policy cash values, homesteads and elaborate automobiles. She said he looked at her through the screen, and told her if she would come to Lakewood, she could find a new life. She did the next Sunday. Since then she had a remarkable recovery from drug addiction, and at the church, she met a cross country truck driver, who she was now flying back to Houston to marry. Sounds as if you had personal contact and experiences with this family. No matter how hard the public tries to find fault in TV Ministers, sometimes they can find none. Of cours this is not always the case, but I thank you for your take on the family. I remember when John went to be with his Creator and Joel took over. I've been a big fan and follower of Joel, it was he who brought me back into the fold. I enjoy reading Joel Osteens books and believe he has a great and inspirational message to share. Thanks for sharing your story. Bill - as I have told you many times, and I am sure, I am absolutely not alone, you are an excellent story teller. Enjoyed it immensely. What a treat. Bill - I do not usually reblog, but I "betrayed" my selfish habit and reblogged this post. Bill, we watch Joel Osteen often and especially when we need a positive outlook on life. We also believe from friends who know them, that they walk the walk and have helped millions of people with their positive messages. Bill- I am from Houston and remember when a very good friend of mine told me about Lakewood Church. Thank you for sharing this with us because it is so refreshing to read about a person such as Joel Osteen and his family and not find out that they aren't the people they show to the world. and thank you to Jon Zolsky, Daytona Beach, FL for going against his norm and reblogging this. Bill, I watched John Osteen for years until he passed in 1999. I have heard Joel's testimony of how he was behind the scenes for years, and was asked to step up and continue the work at Lakewood Church. Joel and Victoria have an International calling, and they are the Real Deal. This is interesting. I'm sure his heart is in th right place, but I can't get behind churches who are marketing machines. Thanks Bill, quite an impressive story, and a lot more behind the scenes than most of us would know about, but most of it is needed if we expect to catch the public attention in this modern world. So glad to hear that Joel is the "Real thing", and that he is doing an excellent job of spreading the Word. Almost for got to mention this but, thanks to Jon Zolsky, Daytona Beach, FL for pointing out this post. Thanks to you all for your comments. One aside. Forty thousand people a week crowd Lakewood's total Sunday services, and millions join by television. If it is a marketing machine, I wish we had more like it. Hi BILL CHERRY expect something good. Actually, it will only be a phone call from me. Hi BILL CHERRY, that is very interesting that you know the Joel O"steen family so well.